Building codes have never created the demand that noise reduction construction types be incorporated into architect's concerns. or ceilings that involve footsteps which is best classified as (mechanical transmission). like a lightweight but dense sponge of foam that expands immediately sealing every unseen crack, seam or nail hole . This has the soundproofing companies scratching their heads while saying it can't be done! 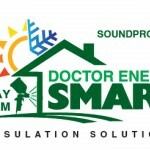 This entry was posted in Insulation Prescriptions and tagged reduction, reducing, attenuation, noise, fill, foam, walls on March 21, 2018 by John Weinssen.